Air cooled heat Exchangers are same In the Functions of Finned Tube Heat Exchanger. These types of Heat Exchangers are specially used in Large Quantity cooling Requirements. 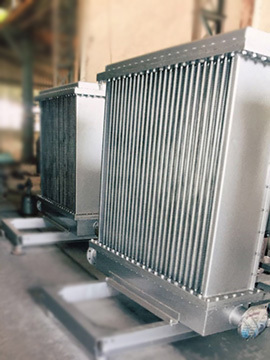 We are main Suppliers of Air cooled Heat Exchangers for Oil Refineries and Process Fluid Cooling.